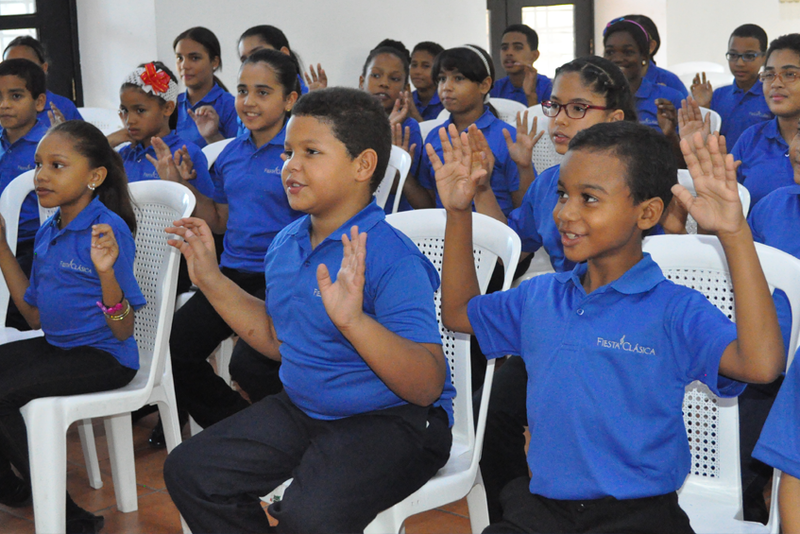 The first school (núcleo) initiated by our foundation is situated in the heart of the colonial zone, at the corner of José Reyes et Mercedes streets. The school is housed in a magnificent building from the XVII th century, and is adjacent to the beautiful church of Nuestra Señora de las Mercedes whose oldest parts date back to 1635. The school inhabits two levels spanning an approximate area of 800 m2 and is situated around a courtyard. Several work rooms have been fitted for individual and group classes for choral singing, flute and string instruments. The school also has a family room that allows students, parents and teachers to get together if they wish to do so. The administration of the school is entrusted to a director. If you want to send an application, please complete the online form. If you are a music teacher and want to join us, please complete the form below.